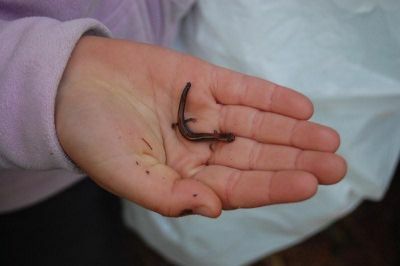 The world presents itself to the child in what Dr. Montessori described as “going out.” Through outings children may discover their place with nature and the social community. Each year in May we take an overnight camping trip and hike. Students often count this as one of their favorite weeks of school. We devote four days to preparation as a class packing our gear and performing a pack check, practicing tent set-up, menu-planning, shopping for groceries, preparing food for the trip, and taking a short practice hike around the school grounds wearing our packs. We depart on a Friday and return the following day. Particularly enjoyable past camping and hiking locations have been Lafayette State Park in the White Mountains with a hike to Bridal Veil Falls or Lonesome Lake and Mt. 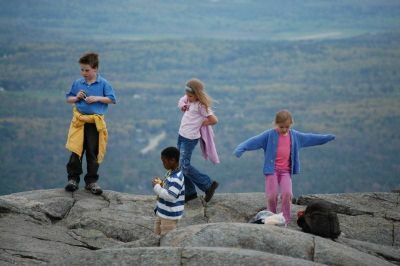 Monadnock State Park in Jaffrey with a hike up the grand mountain.